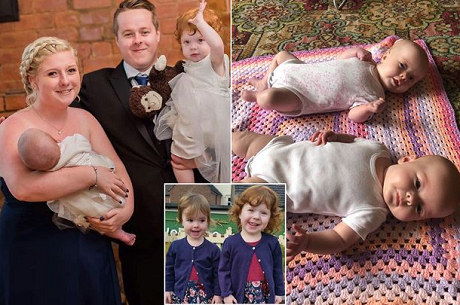 A young mum had the shock of her life when she got up in the middle of the night thinking she needed the toilet – but instead gave birth to surprise TWINS . Beth Bamford claims she had no idea she was pregnant and was stunned when she ended up giving birth alone in her bathroom. The 21-year-old, from Stoke-on-Trent, Staffordshire, gave birth to 5lb 10oz daughter Willow as boyfriend Andy Morris, 22, lay sound asleep just along the landing. 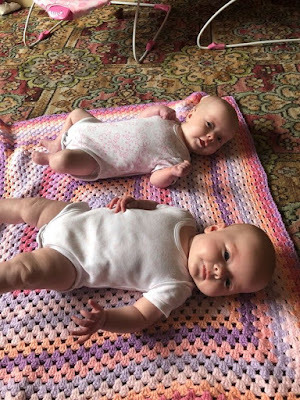 Poor Beth called for an ambulance and emergency services talked her through pushing out the afterbirth – but instead out popped twin Freya weighing 5lb 1oz. But the new mum was terrified when the baby, who was breech, wasn’t breathing. 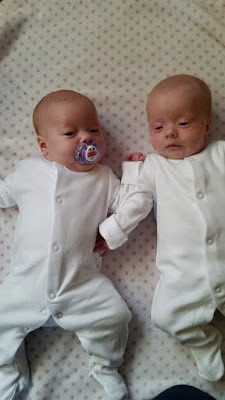 Thankfully the quick-thinking emergency service caller was able to coach Beth through a lifesaving ‘little shake’ and the smaller twin took her first breath. 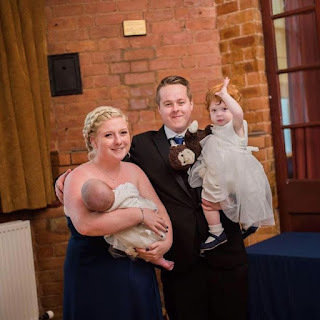 Beth, who was already a mum-of-two, had visited her doctor numerous times thinking she was ill but neither the mum nor her doctors realised it was because she was pregnant. She claims she showed no signs of pregnancy because she was still having her periods, was not eating any more than usual and put the small amount of weight gain down to 'fat'. However Beth says the new babies are a great surprise addition to her family.